Throughout our lives, we have many “first days.” As the semester starts, I usually meet with PR freshman and give some tips on how to make the most of their first day in a course. I’ve also had the joy of advising our alumni as they step in to the first day of their new job. And, without a doubt, I’ve had my own share of first days – both in school and in career moves. Over the course of time, these are some of my top suggestions for those looking to build strong relationships from day one. When you can't make it to a conference in person, there's still plenty of opportunity to participate. It's all about conferencing 2.0. 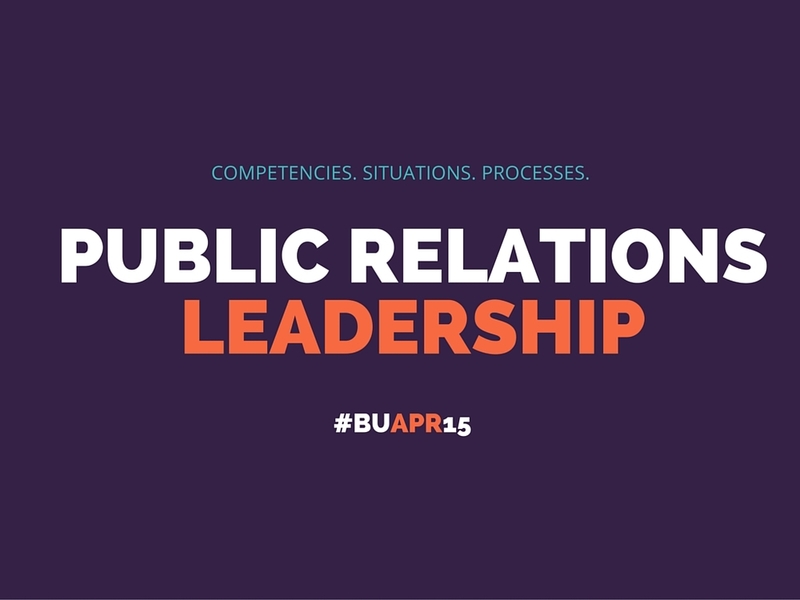 Leadership is a growing area of focus in PR curriculum. Educators face questions such as what PR leadership actually is, how to teach these competencies, and the pedagogical practices required to integrate this education into a course.